Oh dear... big jumbles of Every-Day-Blends-Into-The-Next. So, what have we done in the past Days 14-17 (and 18 too)? First off, we made Reindeer Food. 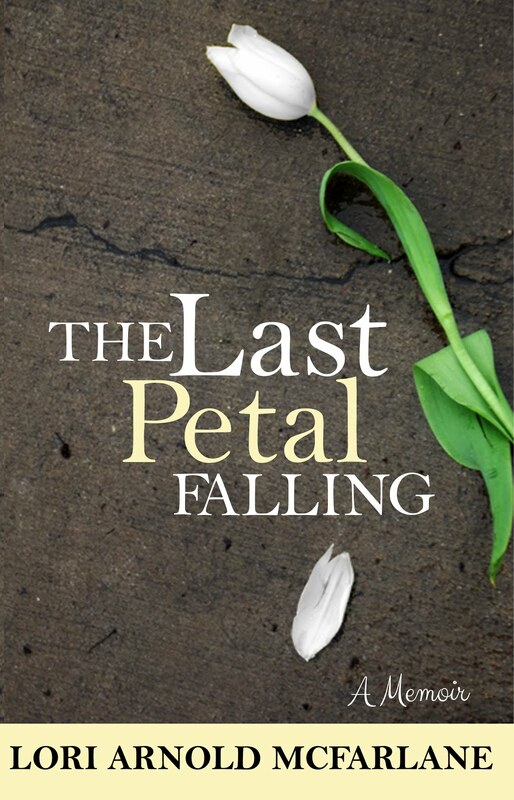 That was it. The kids enjoyed pouring and mixing the ingredients, as well as eating the cake sprinkles and raisins along the way. 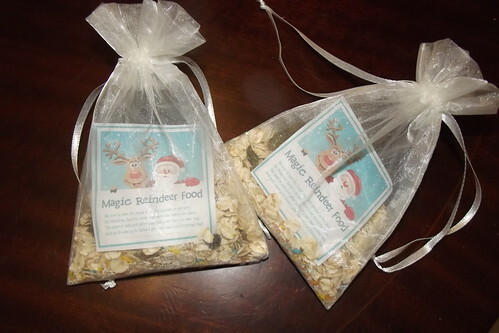 Then we poured the mixture into little craft bags with a Reindeer Food poem (found here - literally the first in my Google search). Easy peasy. The next few days were equally easy. On Friday, they packed their bags for a sleepover with 'Auntie' Lorna, and I must say, they had the time of their lives. This was Lolly's first sleepover anywhere besides Granny's house, and I was nervous for her, but she did so well. Today, Saturday, they went to see Santa with Granny and Auntie Katie (while Scott and I leisurely enjoyed doing nothing in a quiet, child-free house). And tomorrow, Sunday, the activity is to go to our church's Christmas Night. Easy peasy lemon squeezy (as Fifi would say). So, besides that, let me just say, Happy Birthday to Scott today and Happy Birthday to Lolly and Uncle Faisal tomorrow. :) What were we all thinking, planning so many children to be born right before Christmas? Sheesh. 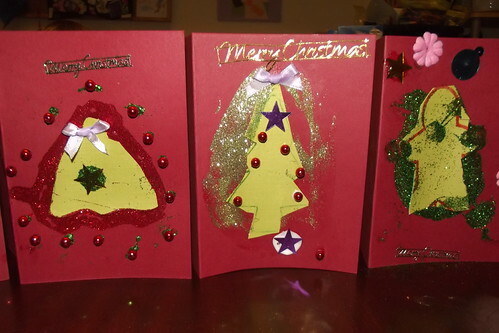 And here are some promised photos of the girls' homemade Christmas cards (inspired by Auntie Rebekkah).